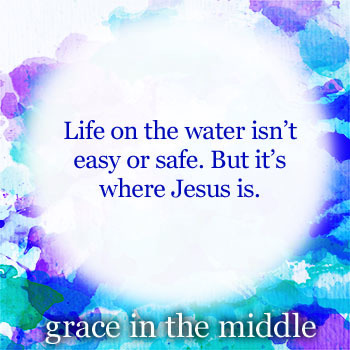 Grace in the Middle – Book review and giveaway! I was so honored to be asked by Ambassador International to review the re-release of Wendy Dukes’ book, Grace in the Middle: An Imperfect Journey to God’s Perfect Plan. Not to mention that it’s always awesome to get a free book from the publisher! This book is the story of Scott and Wendy Duke and their journey through miscarriages and a difficult pregnancy that the doctor’s encouraged Wendy to terminate. The real trials begin as Savannah Grace is born and this family is faced with multiple diagnoses and operations. Wendy gets raw and real with her readers and it gives the reader permission to get honest with themselves about their relationship with God. Page 93 of this book has a tangible anointing that will encourage you to unpack the emotional baggage in your life and hand it over to Jesus. This book is filled with encouragement and inspiration for anyone who is going through a transition or trial. Wendy’s story was a comfort as I grieve the recent loss of my husband. Your faith will increase as you turn the pages. The support this family received during their time of need is evidence of how much God never leaves us or forsakes us. Jeremiah 29:13 is an important theme within the chapters: Jeremiah 29:13 (NKJV), And you will seek Me and find Me, when you search for Me with all your heart. There are new chapters/updates that have been added upon this books re-release. I want to leave some surprises in the additional chapters, so I will just say that the supernatural journey God has taken this family on since Savannah’s birth in 2000 is awesome! My favorite chapter is the one that was written by Savannah Grace herself. She is now a 14 year old girl who has her own thoughts on the trials in her life and how that is shaping her into the woman she will become for God. 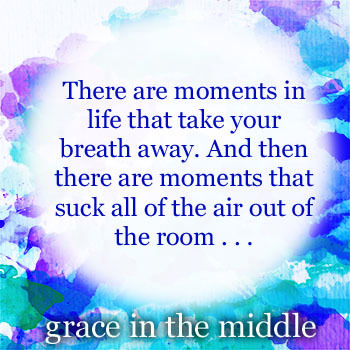 I’m so excited to have a brand new copy of Grace in the Middle to give away! All you have to do to be entered into the drawing for the book is to email me @ mkayfriend@aim.com I will post the winner on Friday! Congratulations to Diane M., New Jersey. She is the winner of the book giveaway!